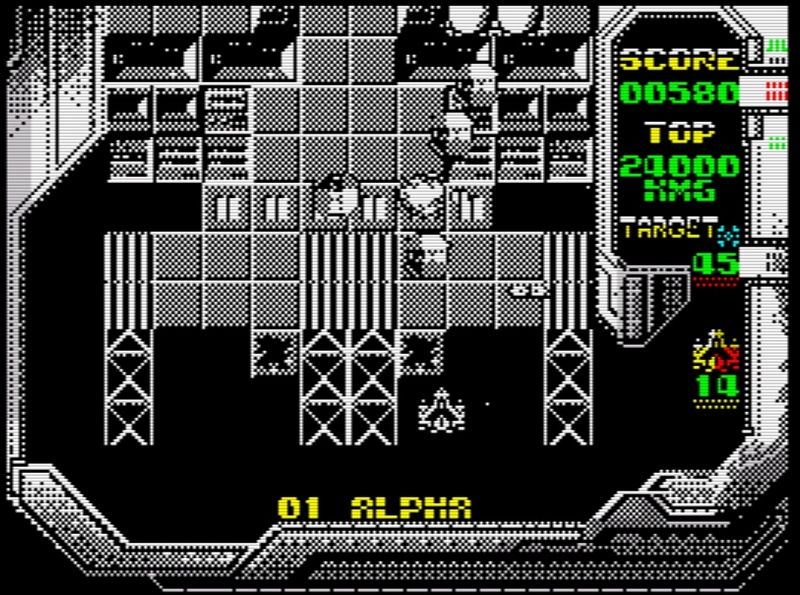 The ZX-Dev conversions compo is really hotting up now with some seriously cool looking entries such as Gandalf, Gimmick! Yumetaro Odyssey and even Baby Monkey Alba. 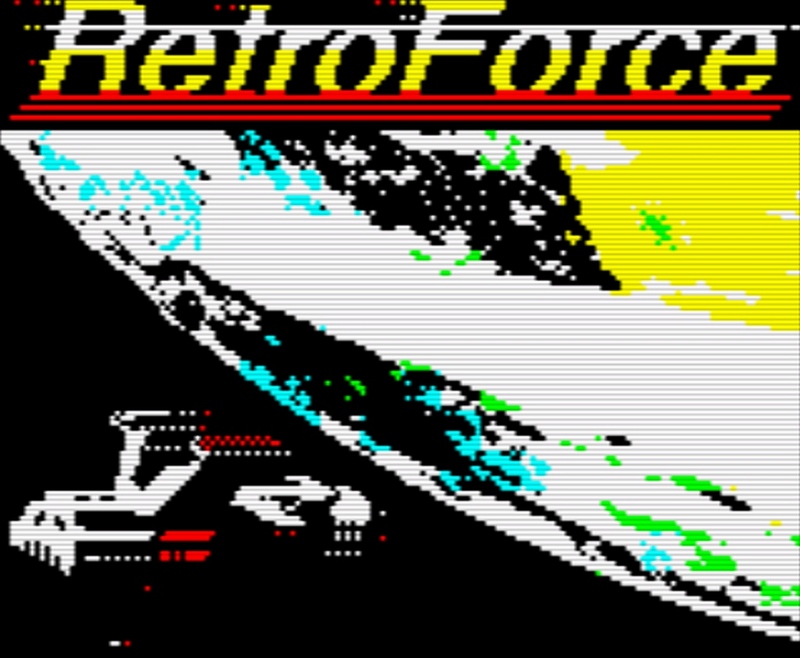 But now as a rather special treat to every ZX Spectrum owner across the globe, Climacus & KgMcNeil 2017 have released RetroForce. In their words " a personal homage to every great vertical shoot-em-up game that we enjoyed playing as kids, but particularly, a homage to the StarForce/MegaForce arcade game "
As many of you know by now the ZX-DEV Conversions compo had recently been launched and gave you the chance to create awesome games where the contestants had to submit conversions from other games from other platforms, from movies,cartoons, books and even comics! In fact we liked the conversions compo so much we even stepped forward to be a judge AND will give away a rather cool prize, Thrust! Which makes it rather difficult to choose as a winner when games such as this comes along to tease us. 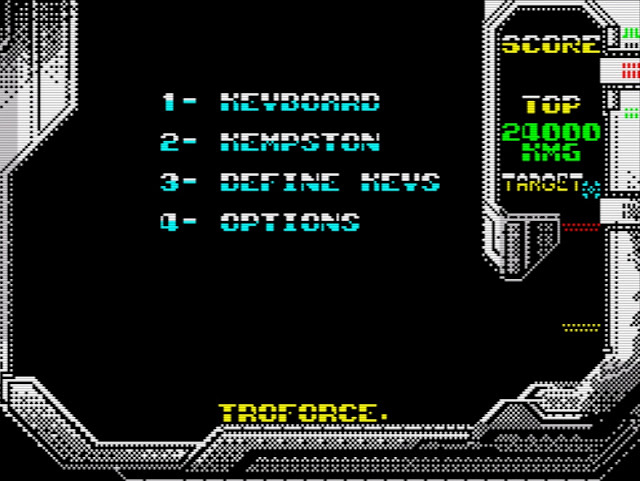 You see RetroForce isn't just your average Shooter/Shoot 'em up, as it fits right in there with the greats of the 80's coin ops while being at its core a ZX Spectrum game. 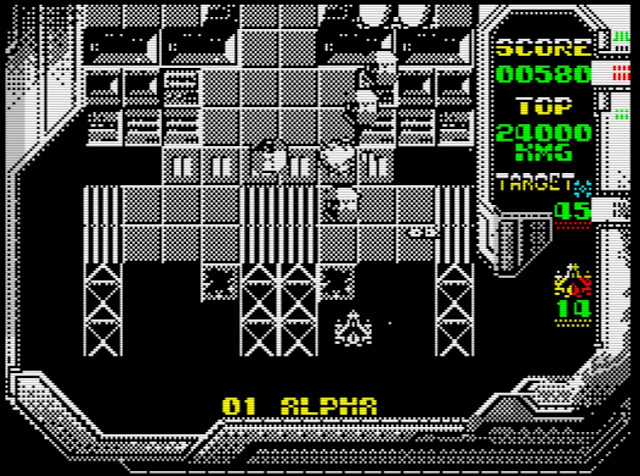 It features very smooth scrolling gameplay as waves of enemies come at you over a battered ship landscape, and there's power ups to be found to give you that extra edge at dealing with all those nasty ships. Still if that wasn't enough for you, the graphics really suit the game and its addictive as hell, as you'll keep coming back for more! And that's just a small taste of what this game has to offer, and as a judge in the competition, other entries will have to work really hard to win!